“Hey, nice looking slaw!” When was the last time someone called your coleslaw pretty? 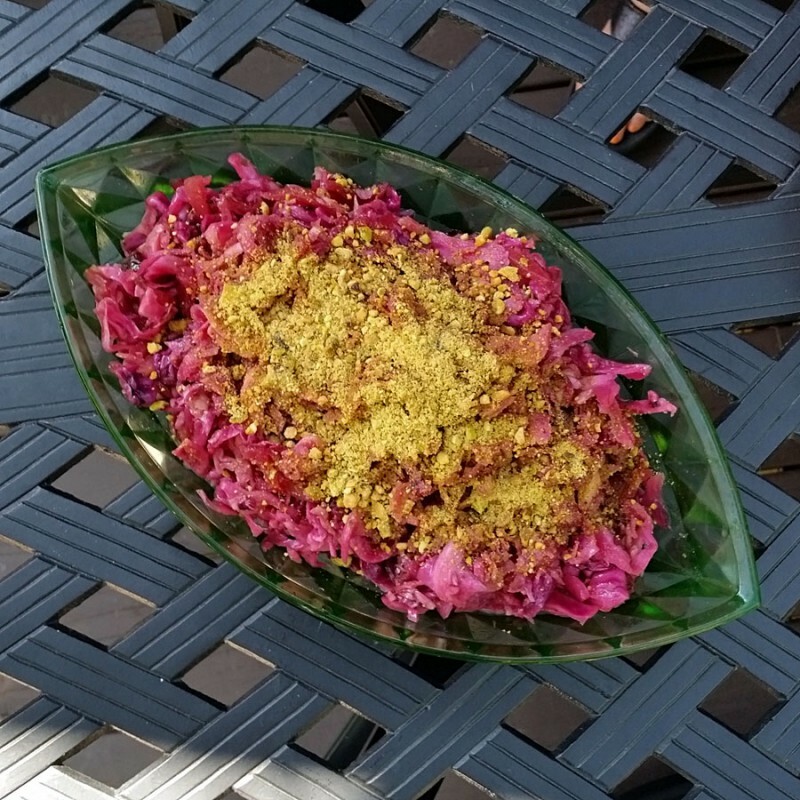 Behold, a stunning red coleslaw studded with dried cherries and topped with pistachio dust. Mix cabbage, onion, celery, and 1 tablespoon of salt in a medium sized bowl. Let stand for 20 minutes and drain off excess liquid. Rehydrate the cherries by mixing them with boiling water in a heat-proof dish for ten minutes. Reserve any excess water. Heat the excess water from the cherries in a small saucepan over medium heat and reduce it to a syrup. Add the vinegar, sugar, and celery seeds, stirring until the sugar is dissolved. Pour the hot vinegar over the cabbage mixture. Add the dill, olive oil and pepper to taste. Pile slaw in a serving bowl and dust the slaw with the pistachios.